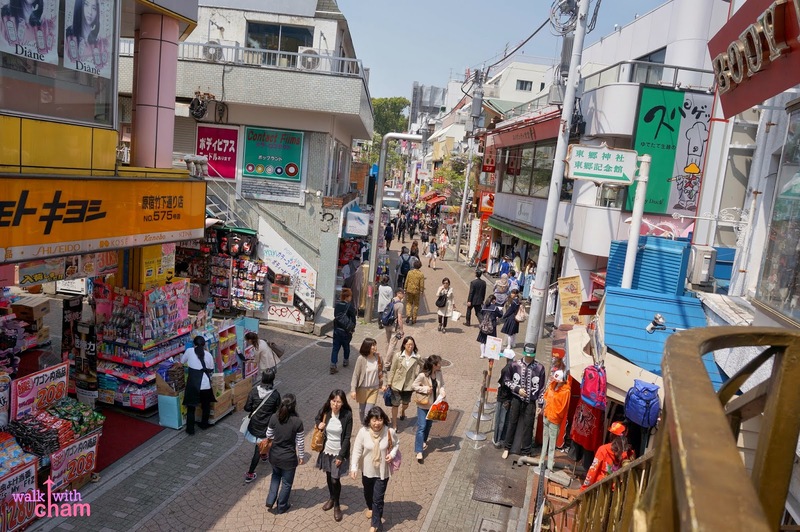 Harajuku is a district in Tokyo known as the center of Japanese youth culture and fashion. Harajuku was ChaMike's first stop for the day, we took a train from Tokyo Station via JR Yamanote Line and just a few walks from Harajuku Station we saw Takeshita Dori. 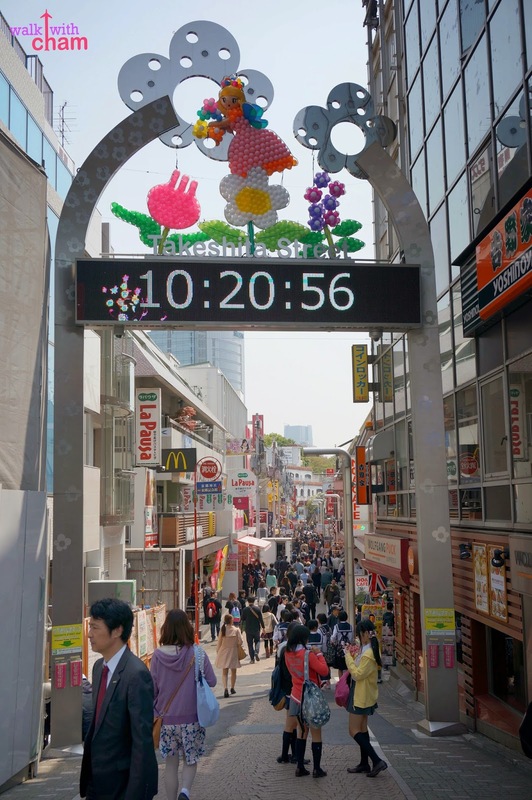 The most well known street in Harajuku where you can find a long street line of fashion boutiques & restaurants. The moment I entered the street I knew that this place was for me. If Akihabara is for Mike then Harajuku is for Cham. 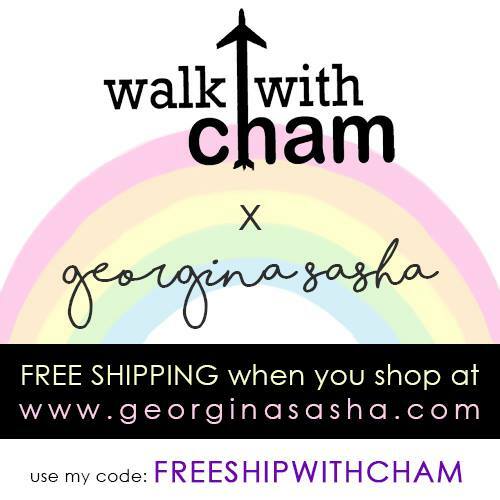 It was fun exploring the adorable shops of girlie clothes, accessories and anything cute and adorable! I bought for myself a pink sweater (which I wore on our last day). 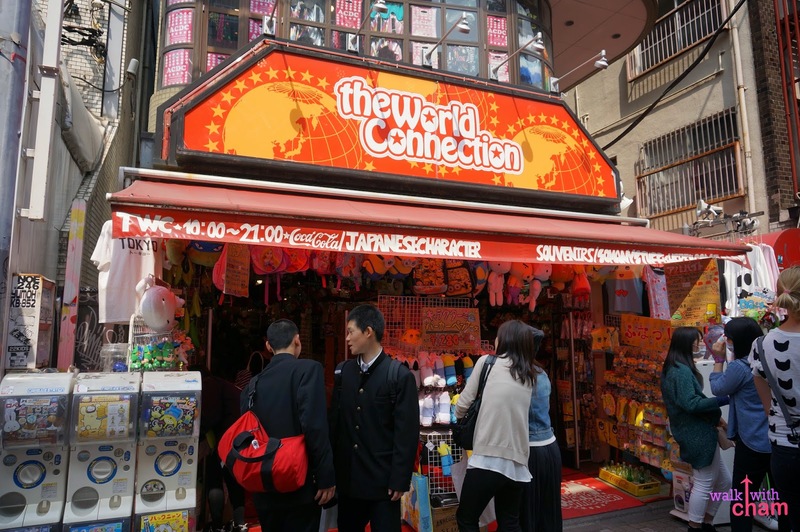 We also found a shop called The World Connection where they sell one-of-a-kind Japanese souvenir items. 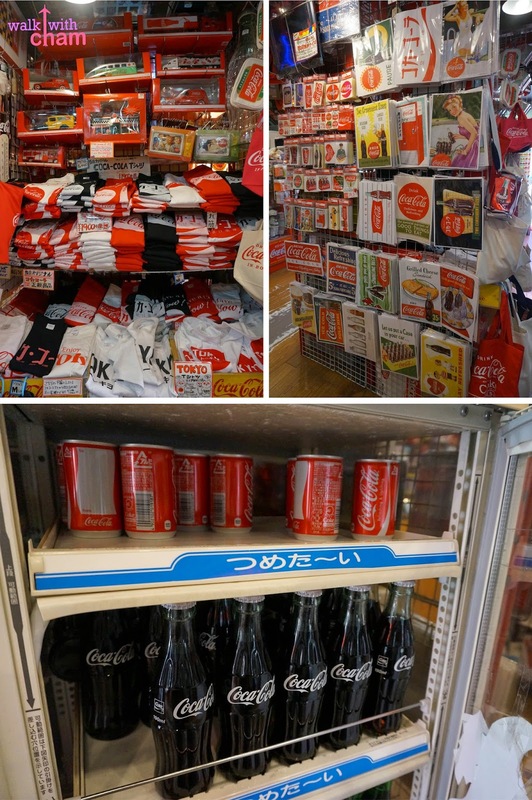 Inside the shop we saw a wide collection of Coca-Cola products like shirts, stickers, bags, cars and unique Coca-Cola bottle and cans. I bought here tiny Coke-in-cans for only Y40 (P17) as pasalubong. 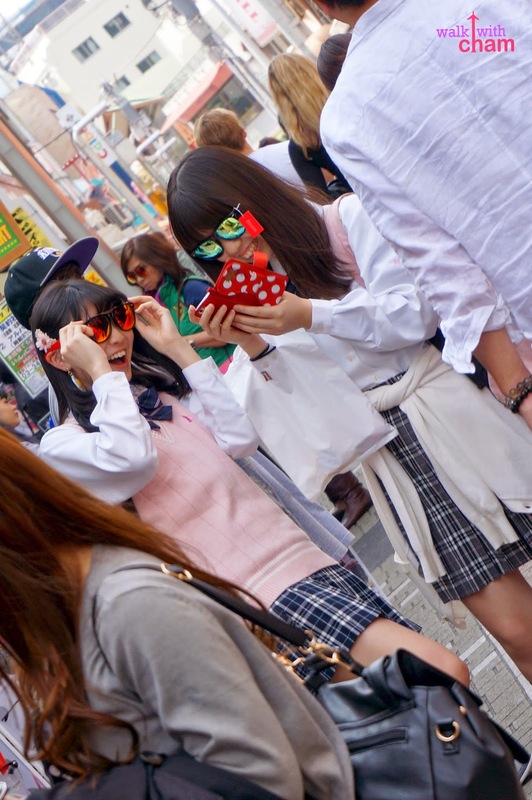 It is not just the shops that are cute but the Japanese teenagers as well. It was fun checking out the kids wearing their cutesy uniform outfits. 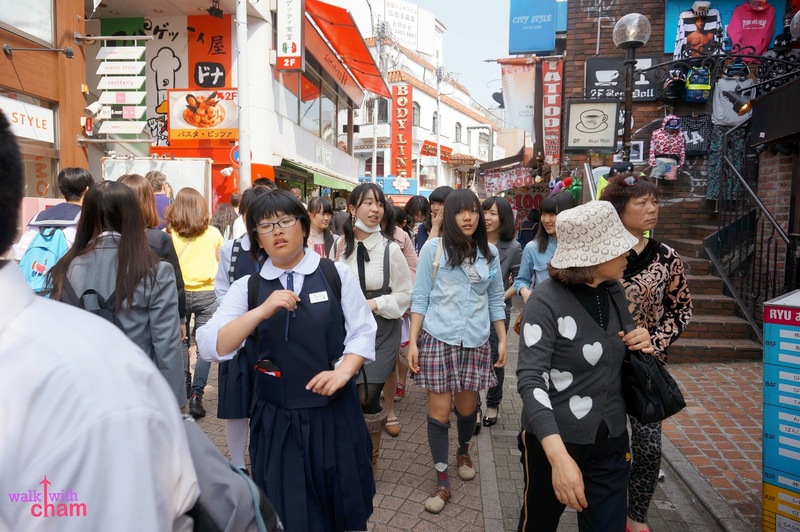 On weekends the street becomes crowded especially during Sundays when Cosplayers gather in the area. Cosplay means Costume play where Japanese fanatics dress in eccentric costume to resemble an anime, manga or video game character. Unfortunately, we went there on a weekday so we didn't see any of them around. 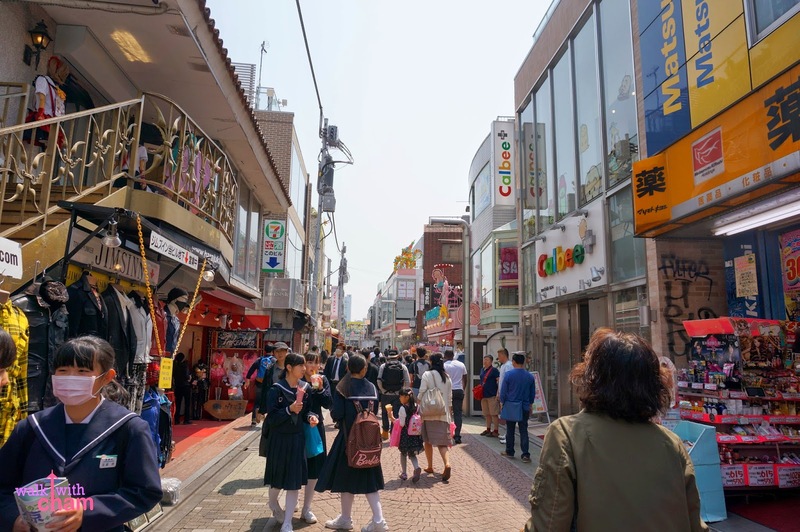 When we reached the end of Takeshita Dori we passed by a major street called Meiji Dori which is the home of two big fashion brands. It was just a quick stop at H&M as I was helping Mike look for Kiddy Land which is along Omotesado area. 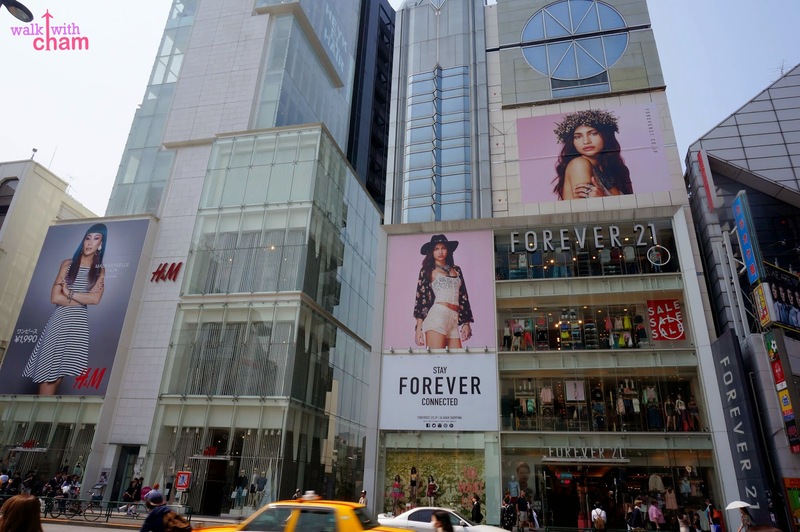 An upscale shopping area featuring high-end fashion stores such as Louis Vuitton, Prada, Dior, Tod and the likes. 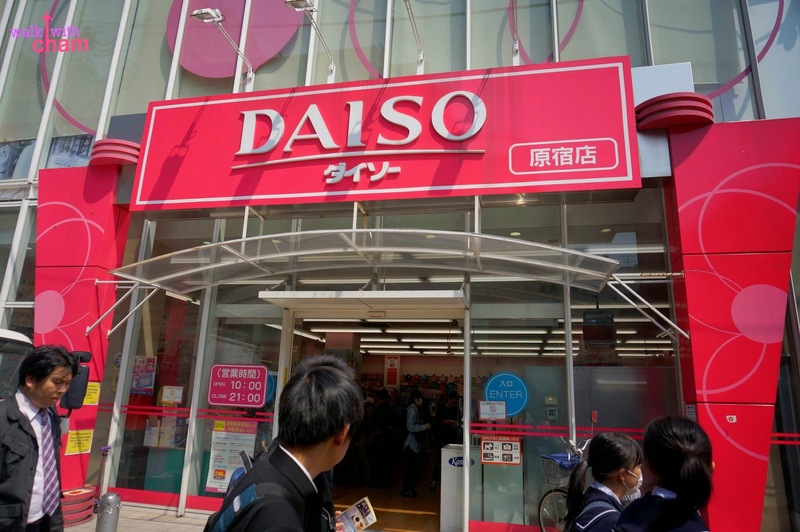 Aside from the leading fashion brands along Omotesando lies a toy store that Mike and I were searching for. 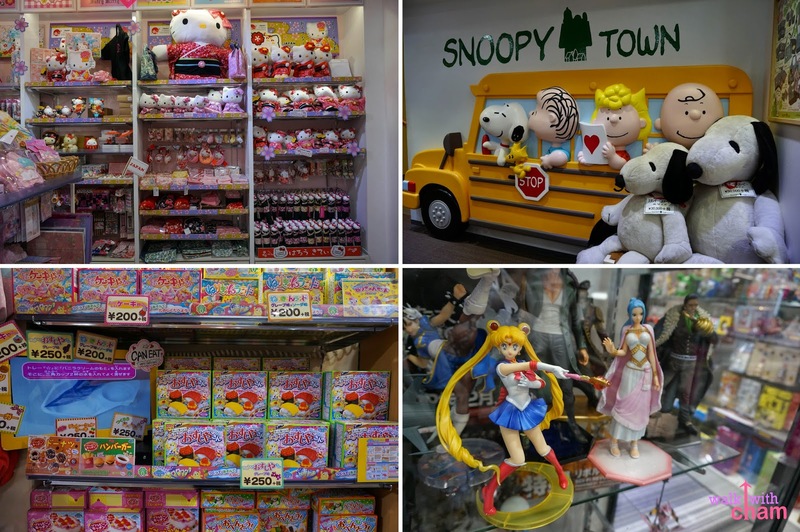 One of the most popular toy stores in Tokyo. 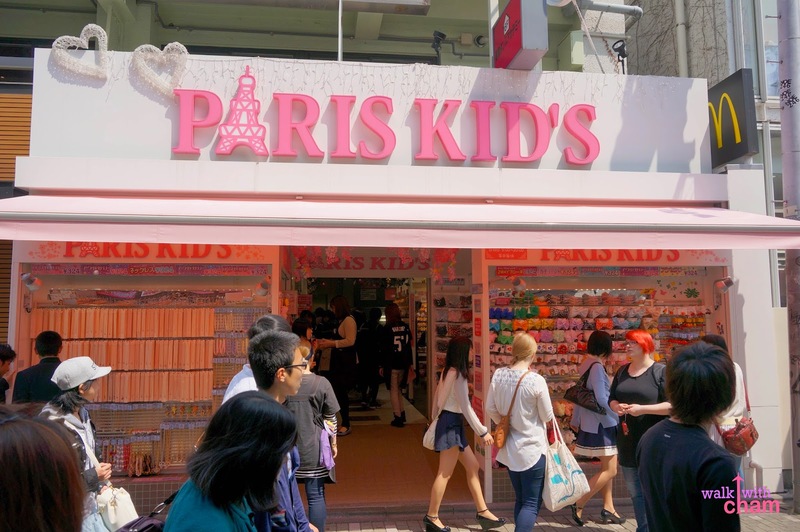 Of course out of all the stores in Harajuku we went to, this was Mike's favorite. He bought stuff here as gifts for his friends. 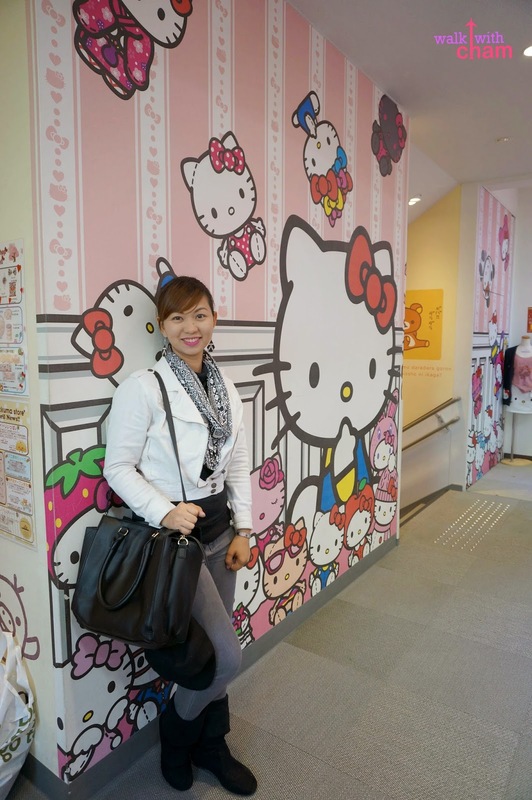 Kiddy Land has 5 floors including Hello Kitty Shop and Snoopy Town. 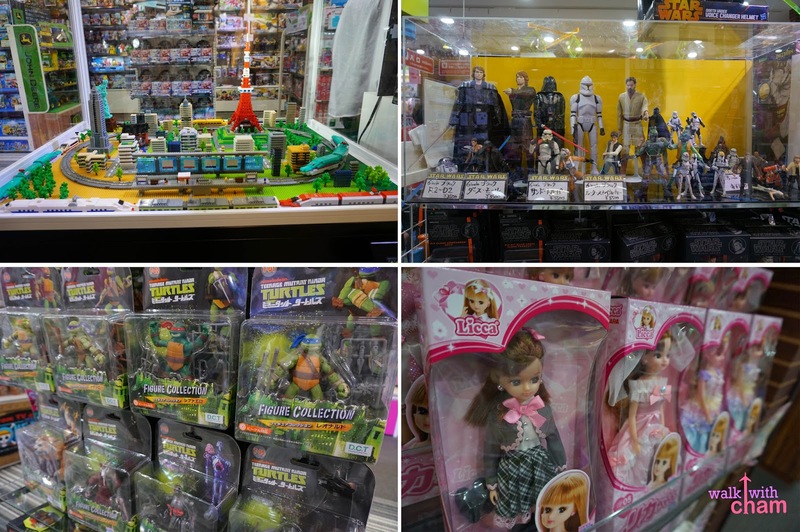 Exploring the store was very nostalgic, I saw here some of the toys I grew up with- Teenage Mutant Ninja Turtles, Star Wars, Hello Kitty, Snoopy, Sailormoon and the Japanese Version of a Barbie Doll. I remember that those cutesy Japanese Barbie Dolls were the toys of my cousin because during those times her papa worked in Japan. But out of all the toys I saw, there were two dolls which made my jaw dropped. A Barbie Doll collectors edition of Audrey Hepburn! I felt like a kid again drooling over Sabrina and Princess Ann of Roman Holiday. However they were soooo expensive! Sabrina (on the left) costs Y10,000 (P4,322) and Princess Ann (right) Y7,000 (P3,025). If only I had the money! 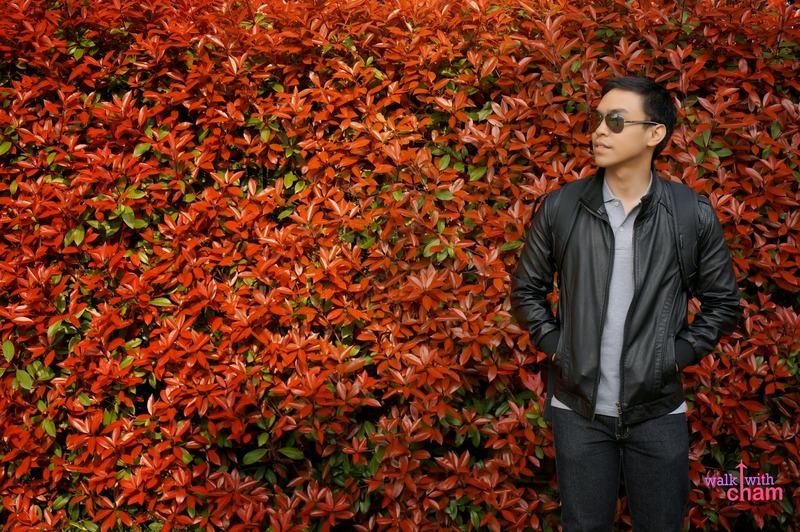 So the least that I could do was to take a photo as a remembrance instead. 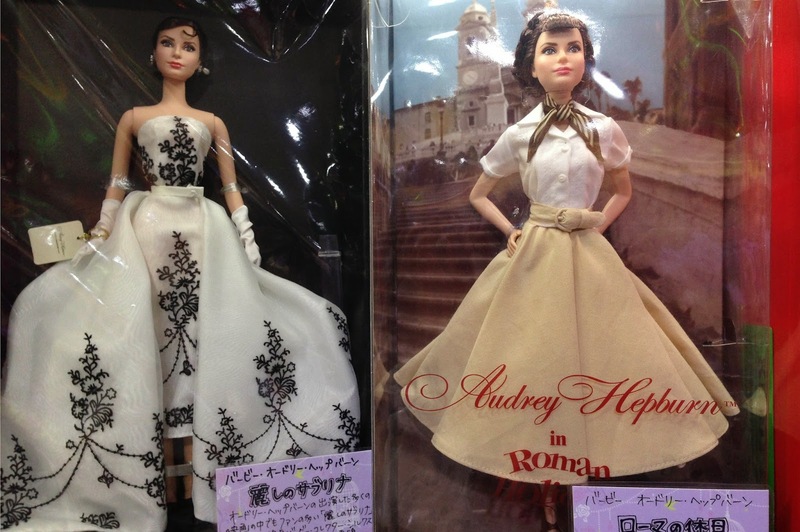 Barbie Collector's Edition Audrey Hepburn in Sabrina and Roman Holiday. 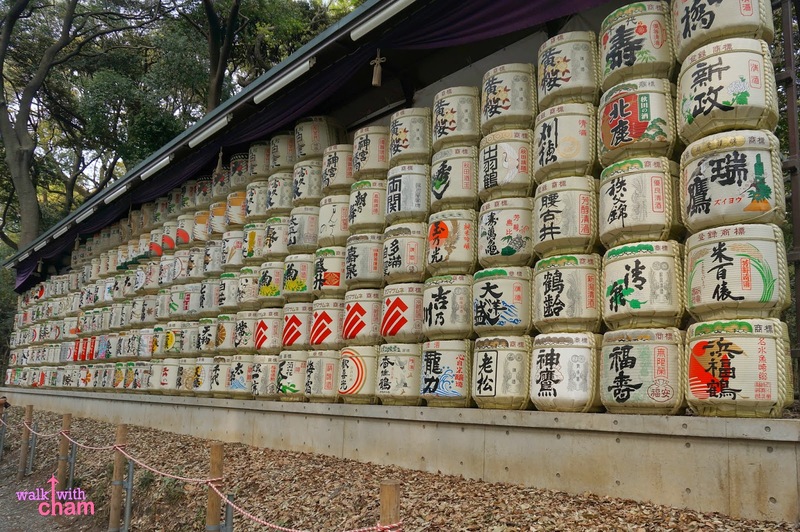 After all the shopping at the chaotic streets of Harajuku, Mike & I decided to have a quiet time at a shrine near Harajuku Station. Not too far from Harajuku Station lies a shrine that's a complete opposite of the places we went to. 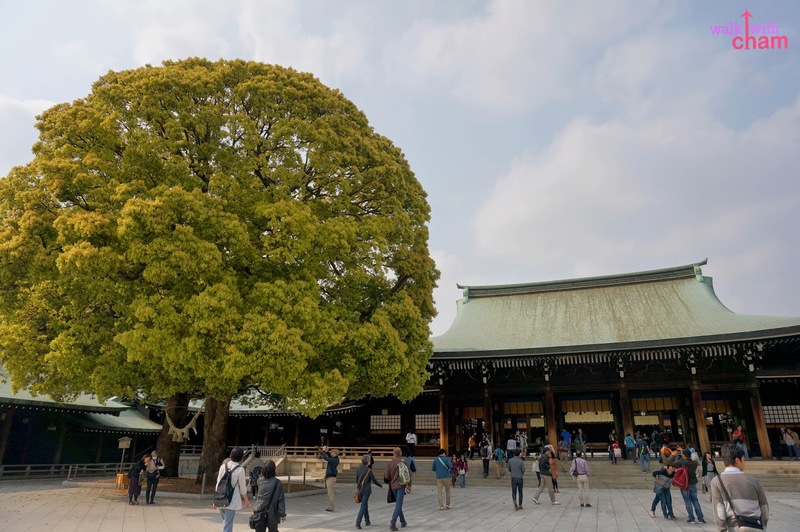 The grounds going to the actual shrine has spacious, beautiful and dense forest perfect for peaceful strolls for those seeking for tranquility. 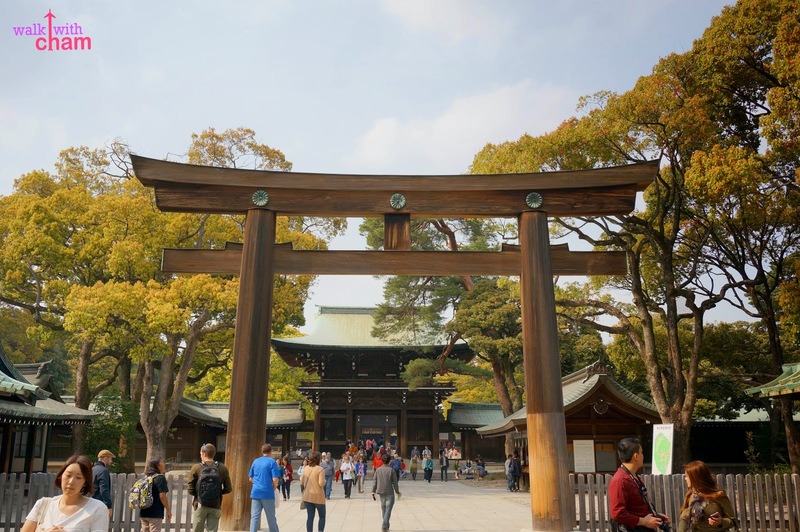 Meiji Shrine is dedicated to Emperor Meiji, the first emperor of modern Japan. 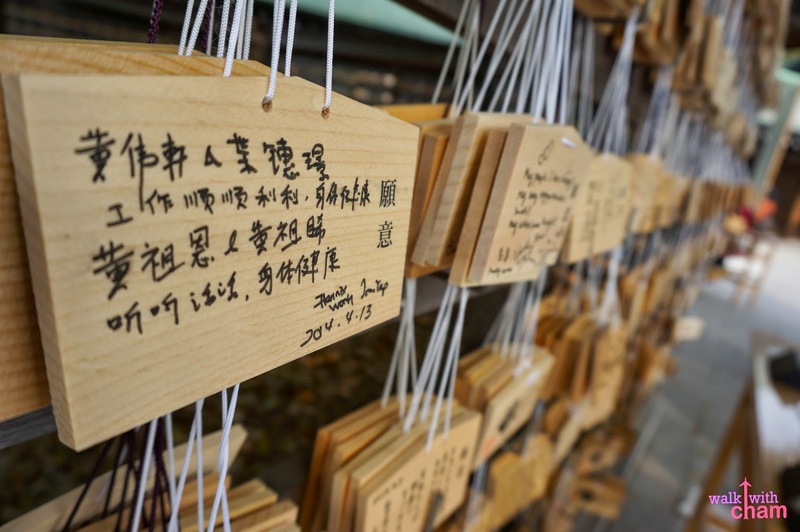 Visitors go here for a number of reasons like making offerings, buying charms and writing their wishes on an ema. 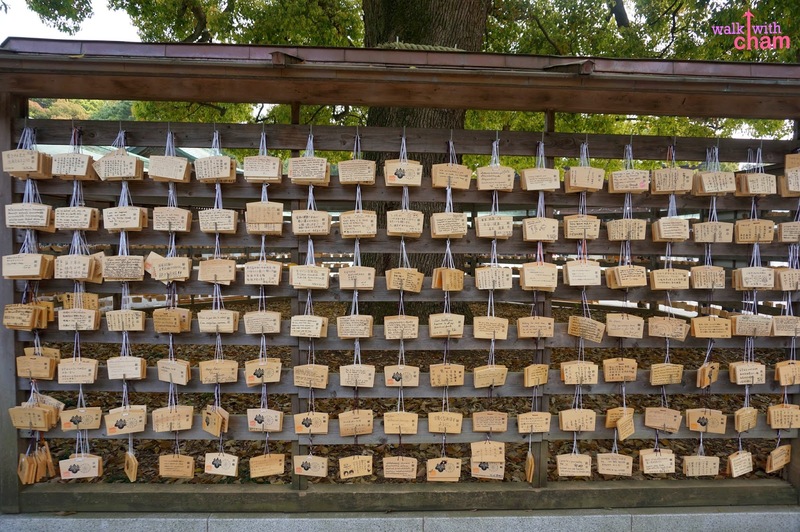 Ema is a wooden tablet where visitors write their wishes and leave it at the shrine hoping that their wishes come true. 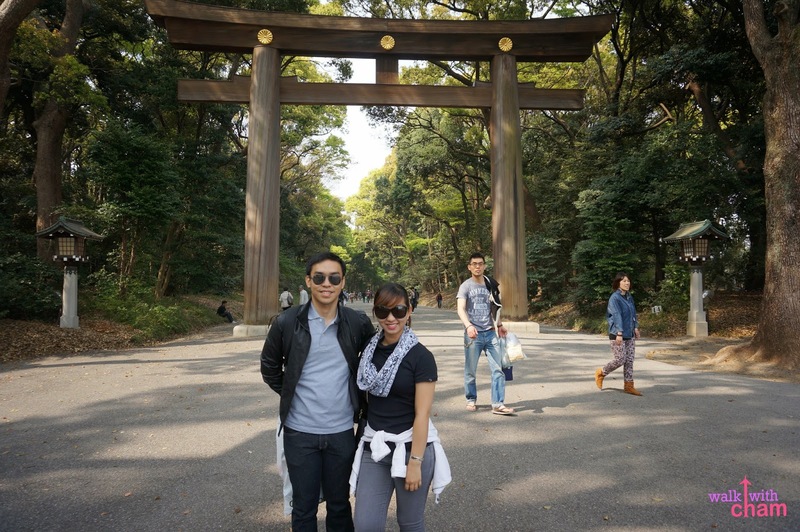 Just across Meiji Shrine is one of the largest parks in Tokyo. 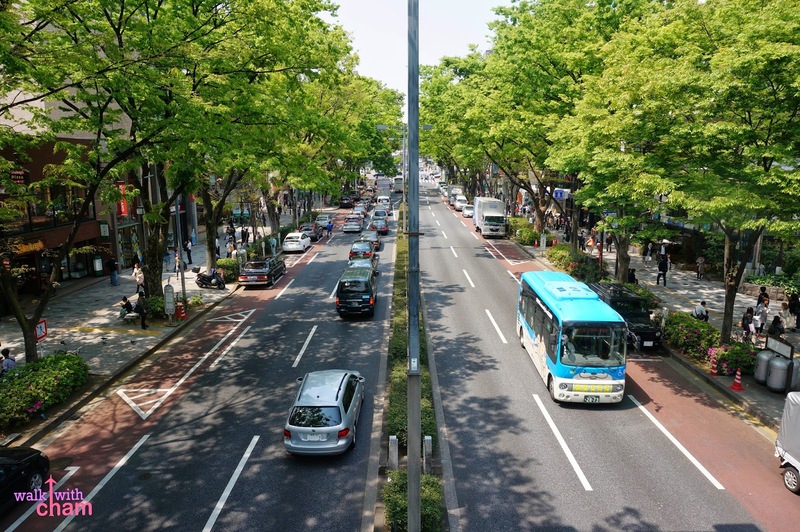 Yoyogi Park has wide lawns, ponds and trees perfect for picnic, jogging and biking. We didn't have much time so we left Yoyogi Park and went to Shinjuku to catch the first show of the Robot Restaurant. 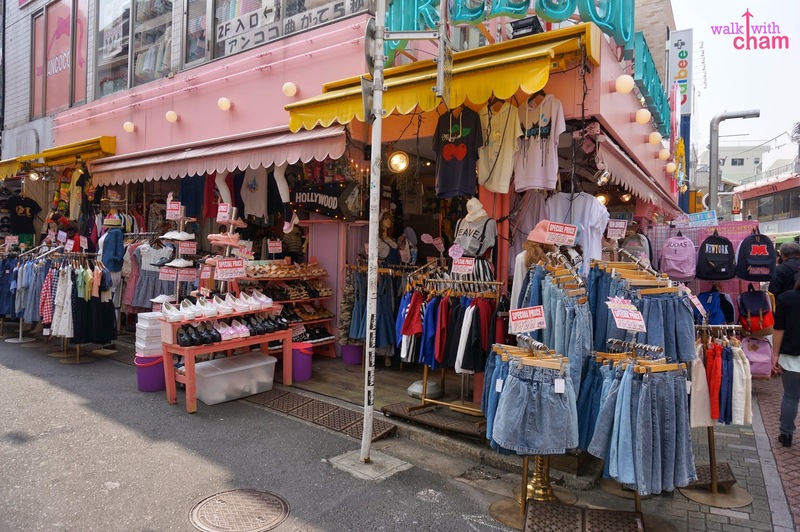 Go to Harajuku with your girlfriends to shop for cute Japanese clothes and accessories. Also, try to go here during weekends to spot Cosplayers.